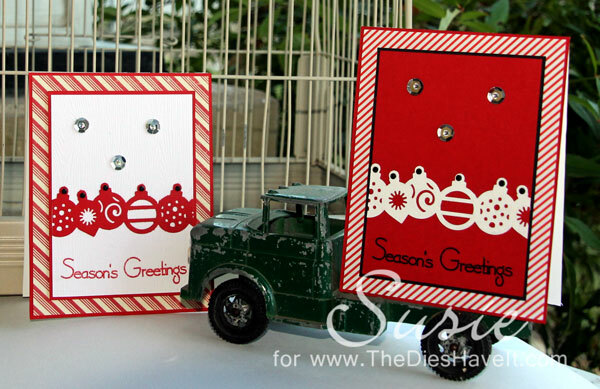 Have you ever thought about making cards for Operation Write Home? I hope you will click here and read about this wonderful charity. I try to make and send between 100-200 handmade cards every two months. It is a way to give back to people I will never meet, but who put their lives on the line for me each day. The cards don't have to be fancy....just crafted well and within their guidelines. Here are two samples of what I sent a few months back. Yes, we have to work WAY ahead!! Please consider helping Operation Write Home. While you think about it, I'll be crafting up another card to share with you tomorrow.